3-Andrew John McHugh was born on 23 May 1887 in Deloraine, Tasmania, died on 13 Sep 1960 in the Launceston General Hospital at age 73, and was buried on 14 Sep 1960 in Carr Villa Cemetery, Launceston, Tasmania. Andrew married Winifred Alice Riley, daughter of Henry Edward Riley and Louisa Shepherd, on 11 Dec 1926 in Winnaleah, Tasmania. Winifred was born on 14 Sep 1899 in Johannesburg, Transvaal, died on 23 Jun 1954 in NESM Hospital, Scottsdale at age 54, and was buried on 26 Jun 1954 in Carr Villa Cemetery, Launceston, Tasmania. The Hobart Mercury on 31 May 1915 reported that "Word has been received that Private A. J. McHugh, son of Mr. A. McHugh, of Devonport, is progressing satisfactorily. Private McHugh, who was wounded at the Dardanelles, is located at a hospital at Birmingham (England)." HAREFIELD HOSPITAL. (By Mrs. Cranstoun.) The readers of the "Examiner" may be glad to have a short account of a four days' visit. No doubt it is known in the colonies that Mr. B. Leake has lent his beautiful place, Harefield Park, in Middlesex for a hospital for the Australian soldiers. The doctors and sisters, and staff, are all Australian. On July 30 I took lodgings in the village, and, having obtained a general pass, spent each afternoon at the hospital. The grounds are extensive and very beautiful. There is a small lake near the house. About 20 large wards have been erected, and over the doors familiar Australian names have been put by the men. They hold a great many beds, are light and airy, and made bright with flowers, cultivated or wild. The beds are for the most part unoccupied during the day, those who are able to be up sitting outside or wandering about in the park or in the village. The men are wonderfully cheerful and patient, thus carrying out the tradition of the British soldier; but still more striking in their case, considering how far they are from home. "Others are worse off than I am." "Oh, it is nothing," is the constant reply to a word of sympathy. Some are badly wounded. Two men from Queensland were sitting together, one had lost a left arm, the other the right; but they said if they sat together they made a whole man between them. Some were wounded straight on landing at the Dardanelles, and "never had a chance," but "many were killed just in front." The kindliest relations exist between the sisters and their patients. "We are like a happy family," a sister said to me, referring to her ward. To speak to the matron and see her kindly face is sufficient to realise the universal esteem in which she is held. Concerts and other entertainments are often arranged for by friends, and Bishop Mercer is going to give one of his amusing lectures. The men are taken for drives, and are also sent in turns for a day's sight-seeing in London, going in a Red Cross motor van. 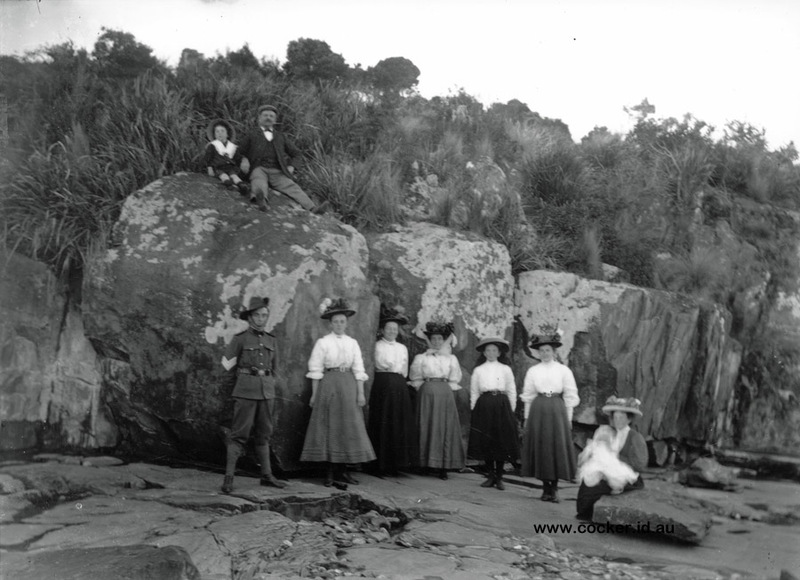 Naturally, I first made enquiries for Tasmanians, and as this may meet the eyes of relations and friends I will mention the names of those I found; I am glad to say they were all getting on well:-Privates Roy Harvey, Styant Browne, Fitzgibbons, Collis, Levy, Henry, Coulson, Walker, McHugh, and Hill. I had an interesting talk with Stretcher Bearer Murphy, from New South Wales. He was unfortunately confined to bed. He told me of how he had carried Lieutenant Massie, who was badly wounded, and asked me to say if I came across anyone who knew him that everything was done for him that could be; he was taken in charge by Major Cordan, and was operated on at once, and put on board ship to go to the hospital. He was a splendid fellow, and never complained. Another Australian hospital has been opened at Epsom, and I hope to go there soon. Tasmanian weekly papers would be welcomed. I shall be in England until early next year, and should anyone like me to see a friend or relation I shall be only too glad to do what I can. Letters may be directed to care Bank of Australasia, Threadneedle-street, London. On 18 April 1816 it was reported that he had returned to duty. Mrs. J. McHugh, of 86 Wellington road, and recently of Devonport, has received advice that her son, Private Andrew McHugh, was admitted to the Third Canadian Clearing Station on November 3 suffering from a dangerous gunshot wound in the back. The latest information mentioned that his condition was stationary. This is the third occasion that Private McHugh has been wounded. RETURNED SOLDIERS. FIFTEEN MEN ARRIVE. Lieutenant R. A. Camm, 1st A.F.C. Acting C.S.M. II. R. Neilson, 12th Battalion. 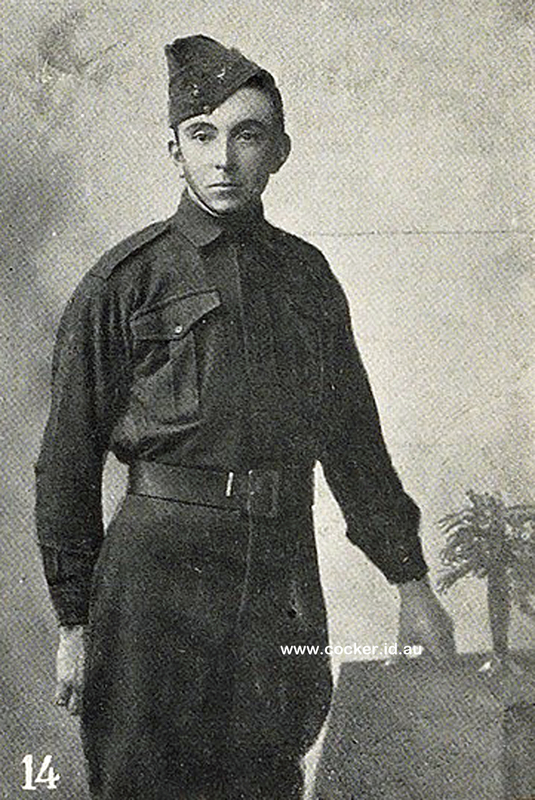 Sergeant J. K. Scott, 12th Battalion. Lance-Corporal H. G. Brown, 12th Battalion. Private A. J. McHugh, 12th Battalion. Private J. F. Whitcombe, 40th Battalion. Private W. H. Doamen, 40th Battalion. Private G. M. Bennett, 49th Battalion. Private E. J. Green, 40th Battalion. Private J. W. Knight, 40th Battalion. Trooper A. J. Ivory, 8th Light Horse. WOMAN'S WORLD WEDDING BELLS McHUGH-RILEY. The first wedding in the Winnaleah Presbyterian Church was celebrated on Saturday afternoon, December 11, at 2.30, when Rev. C. H. Ball, of Scottsdale, united in holy matrimony Winifred Alice, only daughter of Mrs. L. Riley and the late Harry Riley (late of Forster-street, Invermay), and Andrew John, son of Mrs. McHugh, Trevallyn, Launceston, and the late Henry McHugh. The beautiful decorations at the church, carried out in pale pink and mauve streamers and dainty, gold baskets hanging, filled with mauve and pink sweet peas and tiny little paper bells, reflected credit upon Mrs. M. Gould. A large number assembled to witness the ceremony, and as the bride, escorted by her only brother (by whom she was given away), entered the church, and stood under a large wedding bell, the congregation sang the bridal hymn, "The Voice That Breathed O'er Eden." Mrs. Guy Edwards presided at the organ. The bride's beautiful dress of ivory crepe de Chine was daintily trimmed with georgette and seed pearls. She wore a prettily embroidered veil, and carried an exquisite bouquet of water lilies, stocks, and car nations, with tinted fern, and tied with large bow of satin ribbon and long streamers. Miss Corrie McHugh (bridegroom's sister) --as bridesmaid. She was attired in bois de rose crepe de Chine, trimmed with georgette and lace, and wore a black crinoline hat with flowers to tone. She carried a beautiful bouquet of mauve flowers and tinted fern, tied with mauve ribbon and streamers. Miss Jean Riley (niece of the bride) wore a nice pale blue crepe de Chine frock, hand embroidered, and had a trail of dainty flowers in her hair. She carried and placed for the bride's use a delicate white satin cushion, embroidered with horseshoes and true lovers' knots. As the bridal party left the church the small girls of her Sunday-school class spread rose petals on her path. A reception followed the ceremony at the home of tile bride's father. The dining room was decorated with mauve and pink streamers, and a large mauve ball in the centre, and the tables with pink and mauve sweet peas in silver vases. The three-decker wedding cake, made by the local baker, finished a daintily laid table. The usual toasts were honoured. Later Mr. and Mrs. McHugh left per car for their honeymoon at the seaside. The bride went away in a small silver grey costume and small green hat with ribbon-shaded flowers. The future home of the couple will be Geelong. The presents were numerous and valuable, including cheques, and a large copper jardiniere from the Sunday-school. The bride's mother wore a pretty gown of black georgette over silk, with smart black hat. Prior to the wedding the bride's friends gave her an evening in the hall, when a number of beautiful gifts was received. The Misses Joy and Dorothy Mackenzie gave her an handkerchief evening, when about 50 handkerchiefs were unfolded. 4-Ruth Margaret McHugh was born on 29 Apr 1934 in Nurse Munnings, Canning Street, Launceston. Ruth married Ronald Lawrence Thompson, son of Lawrence William Thompson and Florence Madge Cocker, on 24 Mar 1956. Ronald was born on 23 Mar 1934. They had four children: Joy Alane, Maree Alice, Anthony Lawrence and Andrew John. 5-Joy Alane Thompson was born on 18 Dec 1956. Joy married Russell Brown on 19 Sep 1987. Russell was born on 23 Feb 1948. They had two children: Aaron Douglas and Kent Andrew. 6-Aaron Douglas Brown was born on 4 Jan 1989. 6-Kent Andrew Brown was born on 2 Aug 1990. 5-Maree Alice Thompson was born on 21 Feb 1958 and died on 14 May 1978 at age 20. 5-Anthony Lawrence Thompson was born on 3 Aug 1959. Anthony married Tania Leanne Krushka on 8 Mar 1987. Tania was born on 19 Apr 1965. They had two children: Alison Maree and Wade Anthony. 6-Wade Anthony Thompson was born on 22 Aug 1991. 5-Andrew John Thompson was born on 3 Aug 1961. Andrew married Kim Maree Crowden, daughter of William Charles Crowden, on 2 Apr 1983. Kim was born on 1 Dec 1961. They had two children: Dayne Andrew and Keisha Kathleen. 6-Dayne Andrew Thompson was born on 23 Jul 1984. Dayne had two children: Shontai-Lee Amy and Alicia Maree. 7-Shontai-Lee Amy Thompson was born on 26 Jul 2004. 7-Alicia Maree Thompson was born on 8 Oct 2008. 6-Keisha Kathleen Thompson was born on 2 Apr 1987. 4-Elizabeth Louise (Beth) McHugh was born on 28 May 1937 in Launceston. Elizabeth married Lindsay Bertram Webb, son of Ernest Edward Webb and Annie Elizabeth French, on 11 Feb 1956. Lindsay was born on 1 Sep 1933 in Launceston and died on 1 Jul 2000 in Launceston at age 66. They had four children: David Andrew, Anne Elizabeth, Susan Lynne and Denise Julie. 5-David Andrew Webb was born on 16 Nov 1956. David married Sheryl Debra on 15 Mar 1980. Sheryl was born on 3 Aug 1960. They had two children: Kirsty Lee and Nicola Louise. 6-Kirsty Lee Webb was born on 31 Aug 1982. 6-Nicola Louise Webb was born on 21 May 1984. 5-Anne Elizabeth Webb was born on 25 Sep 1958. Anne married Peter John Anderson. Peter was born on 15 Mar 1964. They had three children: Madeline Rose, Lindsay Trevor and Luke Steven. 6-Madeline Rose Anderson was born on 4 Jan 1996. 5-Susan Lynne Webb was born on 14 Dec 1959. Susan married Richard Vernon Deacon on 5 Jan 1980. Richard was born on 8 Jun 1959. They had two children: Katrina Elizabeth and Christopher. 6-Katrina Elizabeth Deacon was born on 27 Jul 1986. 6-Christopher Deacon was born on 23 Feb 1989. 5-Denise Julie Webb was born on 8 Jun 1961. Denise married David Brian McLaughlin on 25 Feb 1984. David was born on 18 Nov 1961. They had three children: Callan William, Trent Lindsay and Isobelle. 6-Callan William McLaughlin was born on 18 Oct 1989. 6-Trent Lindsay McLaughlin was born on 14 Jul 1993.